I’m Tim McGovern, a qualified and experienced spray finisher based in Stockport. 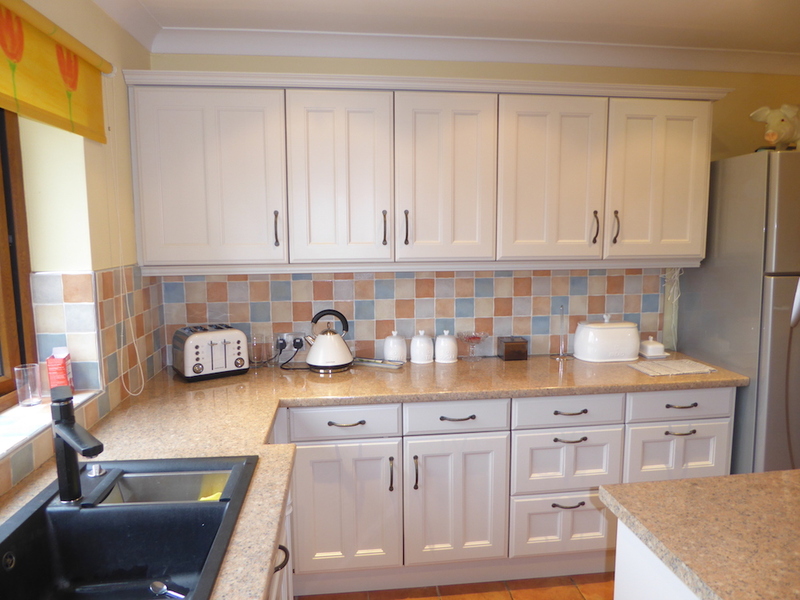 I respray and refinish kitchens, giving them a completely new lease of life. Over the years I’ve transformed thousands of kitchens into attractive family spaces. 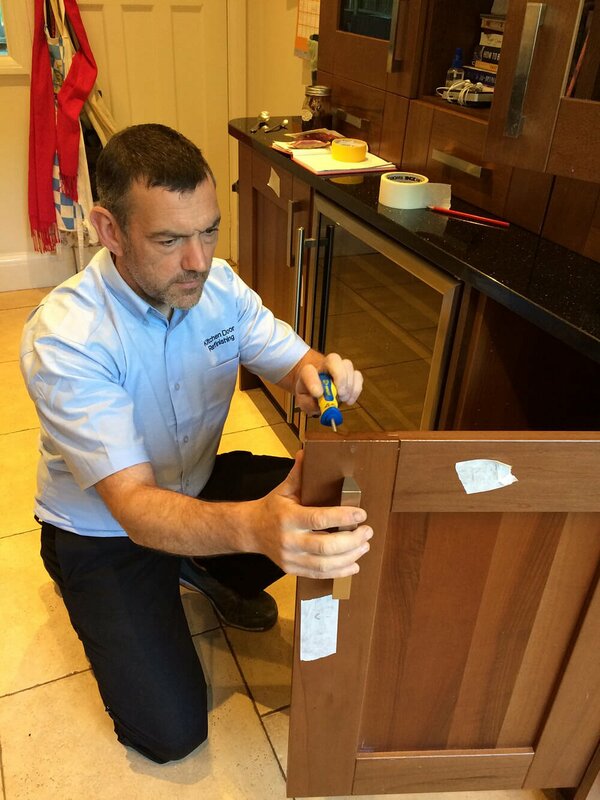 From my dedicated workshop in Dukinfield I take care of the whole refinishing process, ensuring a high level of quality and craftsmanship at all times. 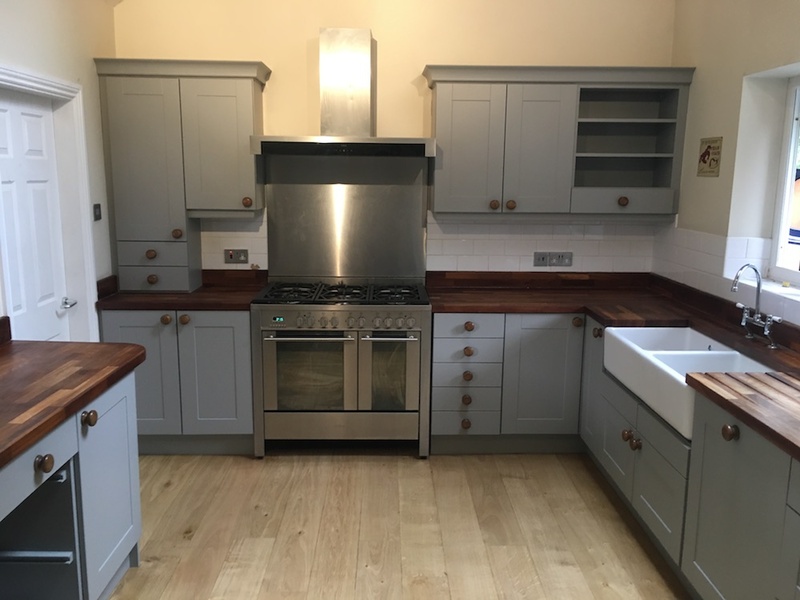 I can advise you on the right paint finish, provide you with colours from a range of palettes and replace doors, panels and other items of kitchen furniture. If you’d like me to visit your home and talk to you about your kitchen give me a call on (0161) 427 4021 or 07780 672256. You can also send images of your kitchen to tim@kitchendoorrefinishing.co.uk and I’ll happily provide you with a no-obligation quote. High quality single piece MDF doors previously finished in ivory and cream were beginning to show signs of cosmetic wear in this house in Didsbury. We prepared and paint sprayed to match Farrow and Ball’s Worsted and sanded back and reoiled Iroko wooden work tops. Kitchen repainted in two varying shades of grey to match Farrow and Ball’s Purbeck Stone and Mole’s Breath. The glass fronted cabinet doors were replaced with solid panels. 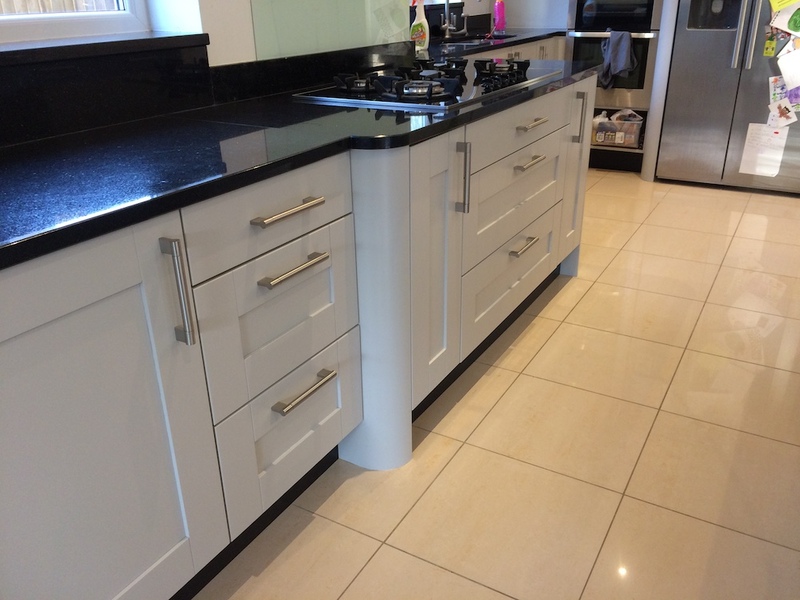 The lipping on the worktops of this kitchen in Romiley were made of oak so sanding back and relacquering along with the addition of new chrome handles brought this old kitchen back to life. Stunning, refinishing job on a pine kitchen in Marple Bridge. Give me a call or send me an email to discuss your kitchen refinishing needs. 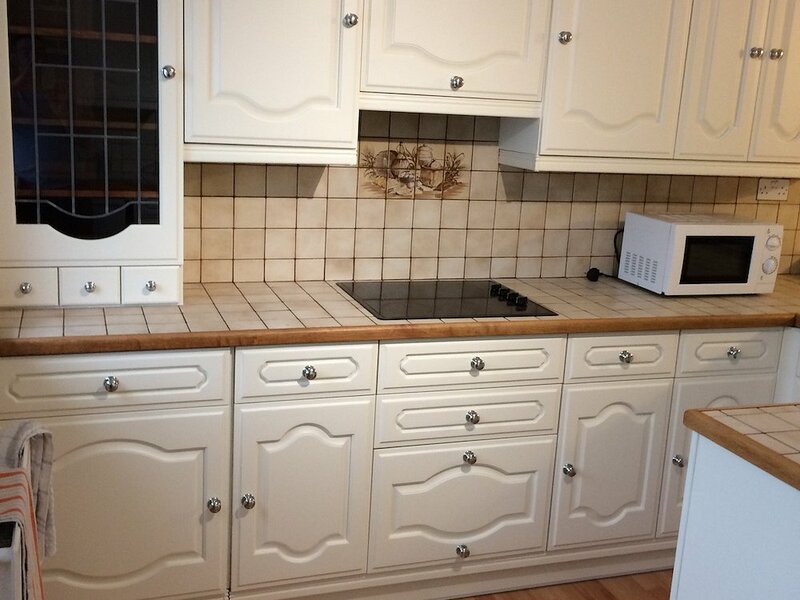 Kitchen Door Refinishing, Tameside Works, Park Road, Dukinfield, Greater Manchester, SK16 5PT.